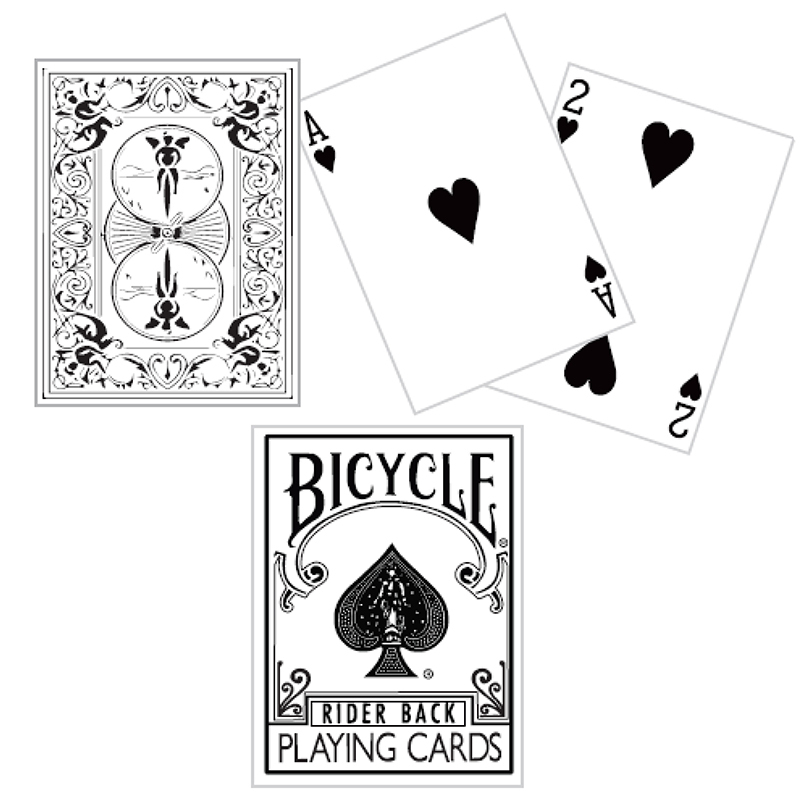 Discount Magic - White Backed Bicycle Deck. We are proud to introduce to you the new Bicycle Poker yellow back. This original Bicycle Poker deck has been made from the US Playing Cards Co. (the famous Playing Card company who makes the Bicycle brand). You can use these cards for color changing effects, but you can also use them as an ordinary deck. The case is orange too. The quality of the cards is the same as the regular Bicycle.